A still from Buzzfeed's video, in which technology was used to fake footage of Barack Obama, accompanied by an impersonation of his voice by Jordan Peele. At present, we can spot most forgeries with the naked eye. But, as with all things digital, the improvements are exponential. And where technology will fail to convince, the confirmation bias will bridge the gap. If the content conforms to your beliefs, you are likely to miss the unnatural facial expressions or muffled voice track. A deep fake classic is a video by Buzzfeed that features President Obama making outrageous proclamations. The clip demonstrates how the hoax was made. One could take solace in the fact that a production of this video required an actor mimicking Obama’s voice. However, this requirement is about to expire as BBC's experiment with voice-imitation technology has recently proved. You can try the BBC test yourself, but the majority of the people polled agreed that AI outshined a professional impersonator. Whether with malicious intent or not, one could use open platforms like FakeApp to create rudimentary video forgeries. The internet didn’t skip a beat democratizing this dangerous capability. No longer will technical training or major resources be required to wreak considerable misinformation havoc. It is not the first time a disruptive technology poses a major civic challenge. And we’d be right to expect that when deep fakes become more advanced, so will the detection technology. Facebook, for instance, just announced plans to accelerate its efforts to spot and weed out misinformation, and the European Union funded In Video Veritas – a browser plugin to sniff out fake videos. But our challenge goes beyond mere detection: it is the polarization of our society, the filter bubbles, which are dangerous side effects of algorithm-powered, information-overloaded reality. Sensationalist headlines, whether factual or not, spread like wildfire already. Content of questionable quality or obscure origin can go viral in no time. Videos appeal at a visceral level more than any text or picture ever will, and the danger of the hoax spreading and shaping our perceptions is many times higher. On one hand, greater awareness is a go-to antidote. If we understood how easy it is to manipulate a video and produce a high-quality forgery, we’d all be more vigilant. On the other hand, greater vigilance stands for diminishing trust and an impetus for further retrenchment into our digital echo chambers, extending credence to an ever-shrinking circle. The policymakers must be proactive and bold. Pre-emptive measures might include early communication of penalties, be it to the producers or publishers of malicious content, and clear protocols for enforcement. More important, though, would be an outreach to traditional and digital media platforms to fundamentally rethink the safety net around online content. Take illicit peer-to-peer music sharing, for example. At its peak, the trend looked unstoppable, but it was halted by legal action in combination with new business models. The tech giants ought to evaluate their role in society. The filter bubbles weren’t invented in Silicon Valley, but they have grown to a level that threatens our socio-political order, along with the digital platforms that reinforced them. If the product is free, you are the product, goes an old adage. As long as customers of online services remain the product, our digital commons remain vulnerable. When one pays to consume digital content on one platform or another, one has a direct stake and the standing to demand stronger quality controls. When the FT introduced a paywall in 2002, this went against many conventions at the time. A “social journalism” platform – Medium – was launched a decade later, and now offers paid subscriptions. For a membership fee of $11.99 a month, one can now watch YouTube ad-free. It looks like this trend if picking up steam already. As the cyber-threats evolved, so did internet security. Early firewalls and antivirus software helped weed out malicious code, but now Zero Trust architecture is emerging as a new standard. The old system security relied on blacklisting of bad content and allowing all the rest in; the new approach is built on a different assumption – all content is viewed as a risk unless it has been whitelisted. Perhaps this paradigm shift is inevitable for all digital content going forward. In this respect, blockchain technology might prove to be helpful, as Antonio García Martínez argued in his article for Wired. 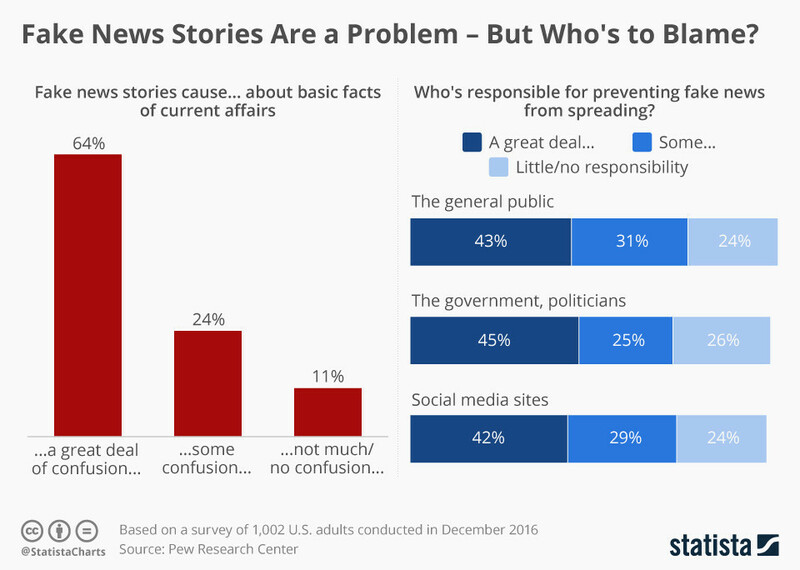 Is computational social science the answer to fake news? Besides the self-evident recommendation that we all apply critical thinking to the information we consume, it is now high time for citizens to demand from their elected representatives a new social contract for the digital age. Deep fakes will test the strengths of our institutions and challenge fundamental ideas such as facts and truth. They will sow doubt, if not defeatism and cynicism. If humanity is unable to act pre-emptively, the proliferation of AI-enabled fabrications might set off a vicious cycle with ever-widening divisions in society accompanied by the decay of trust. We can’t afford to wait and see. We must take notice, act now, and redefine the framework of interaction between humans and algorithms.